Wikileaks founder Julian Assange has hit back on Ecuador anew when he said that the government is engineering his ouster from the said country’s embassy in London. Assange also accused Ecuador of plotting to hand him over to the U.S. This as a judge rejected Assange’s lawsuit over his issues with embassy living conditions. The hearing was held in Quito and Assange spoke from the Ecuador embassy in London via teleconference. Judge Karina Martinez rejected Assange’s request for an injunction against new Foreign Ministry protocols, which effectively prevents him from commenting on affairs in a way that could cause harm to Ecuador’s foreign relations, set parameters on his visitation privileges and even require him to clean up after his cat. Assange’s court injunction sought to compel the Ecuador government to withdraw their recently imposed rules that require Assange to pay for his own doctor fees, the costs of phone calls, and his wifi connection. The new rules even include the seemingly trivial but point of tension between Assange and his hosts- that of cleaning up after his pet cat. Assange also claimed that the terms of the new protocol are nothing but “humiliating” and argued that there “should be a limit on how low a country can stoop.” He also shared that under the new rules, he is barred from meeting his children and working as a journalist. The Australian ex-hacker’s legal team argued that Assange is entitled to medical care and internet access as part of his asylum terms. Tensions escalated at an initial hearing Monday when Assange made a claim that Ecuador President Lenin Moreno has in fact, already decided to end his asylum, just that he has not officially announced it yet. Attorney Inigo Salvador representing the Ecuadoran government protested such statement of Assange. Salvador warned the Wikileaks founder not to issue political statements during the proceeding. Salvador also insisted to reporters afterward that Assange was, in fact, welcome to stay in the Ecuador embassy “for as long as he wants” provided that he complies with all the new conditions set by the Ecuadoran government. The lawyer for the Ecuador government added that Assange’s stay in the embassy had cost Ecuador $6 million. Salvador also stated that the British government has given assurances that Assange will not be extradited if he leaves the embassy. Assange has been staying in the Ecuador embassy in London for six years running to avoid extradition to Sweden in a sexual assault case. The said case was later dropped. Embassy staff has forwarded complaints against their “guest” claiming that Assange has been riding a skateboard in the halls, of playing soccer on the grounds and even of aggressive behavior against security personnel. It is for these complaints, Salvador said, that the new rules were imposed on Assange. 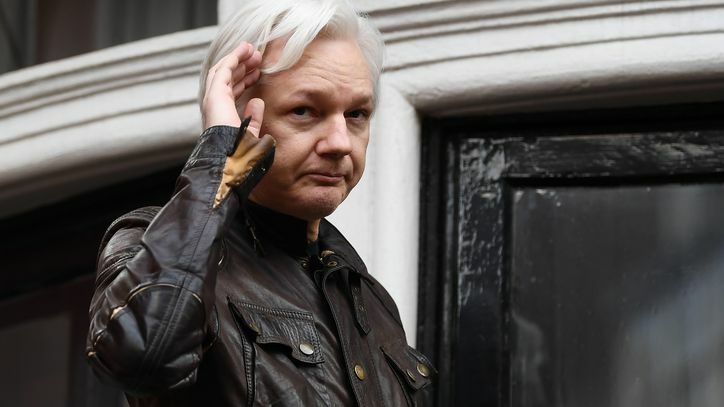 Assange continues to stay in the embassy out of fears being jailed by Great Britain for violating the terms of his bail. Assange believes that under such scenario, Great Britain would easily hand him over to Washington. U.S. federal prosecutors in Virginia have been working on a long-running grand jury probe into WikiLeaks, including an investigation into leaks of Central intelligence Agency documents to the website. Assange’s legal team said they would immediately appeal the ruling. This boy is very clever don't underestimate his skateboarding skills.